> Colour Rendering Index: 70 - 80 Ra. > Certification: CE, RoHs, the LED driver with UL, TUV, PSE certification. > LED Light Color: White (5500K-6500K), Warm white (2700K-3300K). 1pcs/Carton, Carton Dimension: L700mm*W350mm*H250mm; G.W. : 15KG. 1. The Fins aluminum has excellent thermal distribution, conduct the LED thermal to air much more quickly, reduced the light decay ratio, so the light life will be last longer. 2. 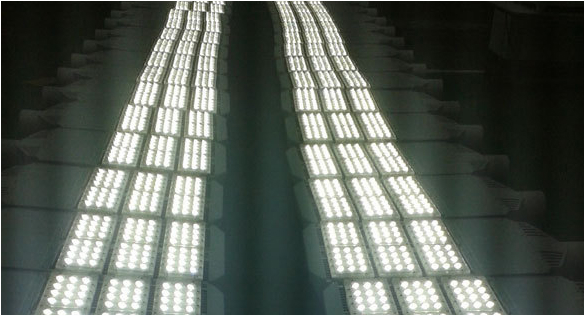 The product weight is lighter than existing aluminum street light about 50%, that can save a lot of cost for the shipping, especial for the bulk orders that will reduce the product cost so much. 4. Used Latest technology to produce the fins aluminum to ensure the product quality, and increased the production yield. 5. The product surface with Anodizing process and powder coating, real rust-proof, suit for outdoor with high salt/acid/alkali environment, such as sea side etc. 6. 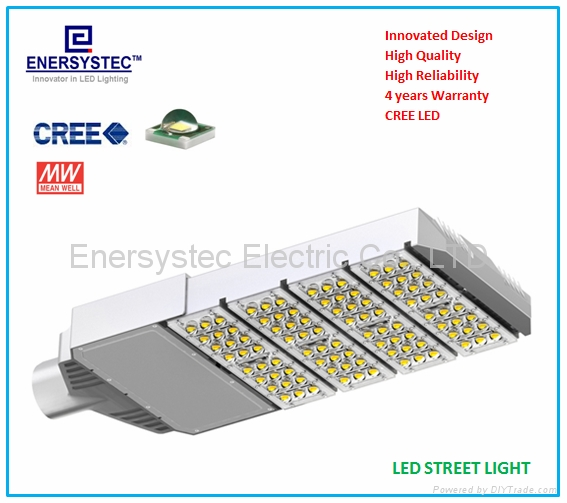 Used USA CREE XT-E LED chipset as light source, the light efficiency can reach to 148LM/W. 7. 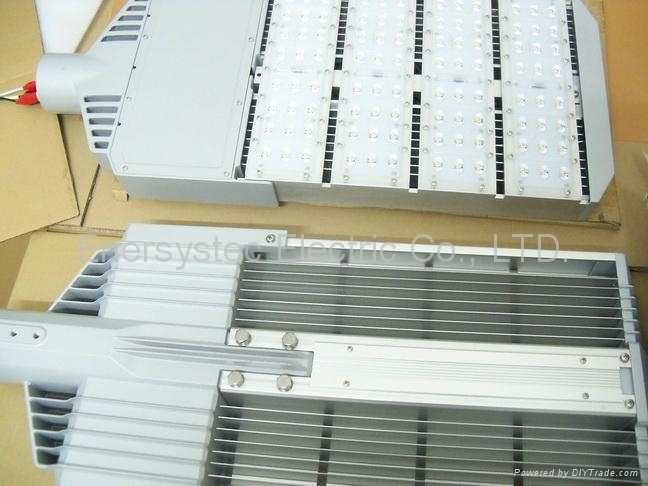 With modular design, each LED module can be easily replaced if there are any failures. 8. 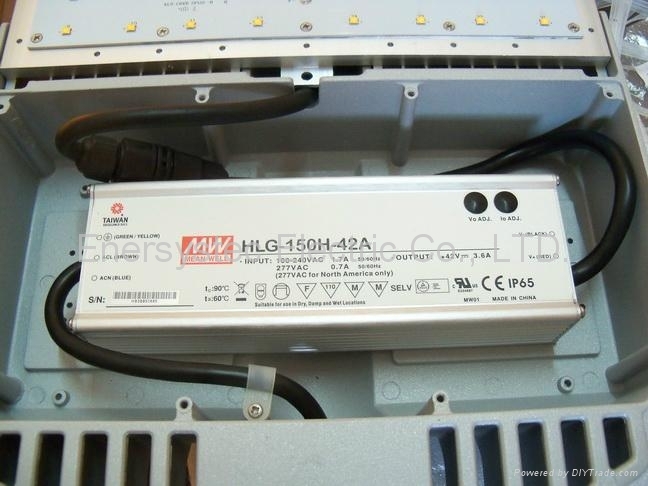 High Quality LED driver with UL, TUV, CE certification. 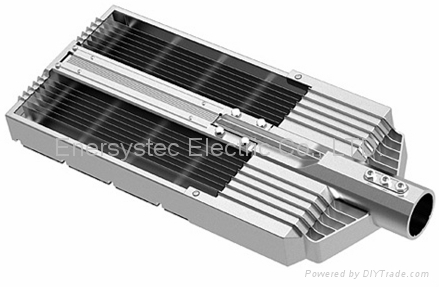 The 150W LED street light can replace the 600W HPS light, with feature of Low heat generation, High efficiency, Energy saving & Environmental protection and high reliability. 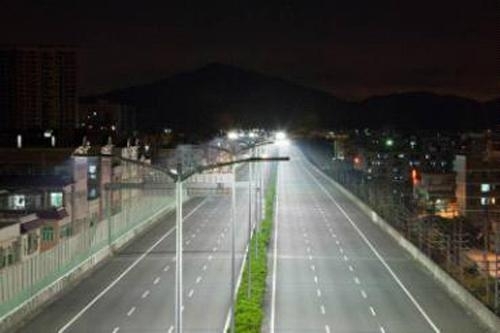 Compared with traditional street light, the LED light has longer life time, that will reduce the maintenance cost every year. No UV & IR, No radiation, No electromagnetic interference, Energy saving and environmental protection, No hazard material as Hg & Leads.